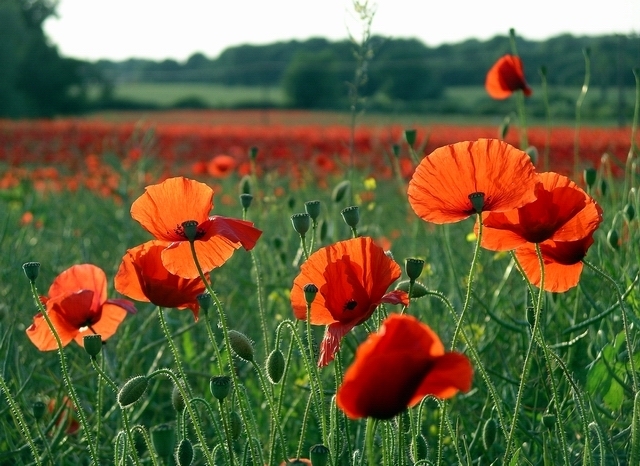 When Amanda asked me to contribute a post on my favorite breakfast, I was thrilled! Breakfast is one of those essential meals for me that I cannot function without. But then, I got a little stumped. You see, Amanda was specifically looking for healthy alternatives to sugar-filled breakfast meals, and I realized that a lot of what I eat for breakfast has quite a bit of sugar: cereal, toast with jam, waffles, etc. So I had to dig a little bit to figure out a non-sugary alternative that I enjoy on a regular basis. One of my favorite healthy breakfasts is rolled oats with golden raisins. It's delicious and super easy and fast to make. Unfortunately, we were all out of golden raisins. Luckily, I recalled that I love all kinds of egg-based dishes for breakfast. Whether scrambled, sunny-side-up, or soft-boiled, I will eat eggs in any shape or form. So I decided to contribute one of my scrambled egg recipes. For a healthy breakfast, I often make scrambled eggs with veggies, such as mushrooms, tomatoes, or chives. Sometimes, I even make eggs for dinner, and that is what happened with this recipe. Because it was a dinner meal, I decided to add more protein to it, so I made my eggs with bacon. Here is my recipe. Scramble eggs in a small bowl and add salt. Preheat the frying pan on medium heat. Slice bacon into small rectangles (about 2 centimeters wide). Fry the bacon to desired crispiness (I like my bacon on the less crispy side). 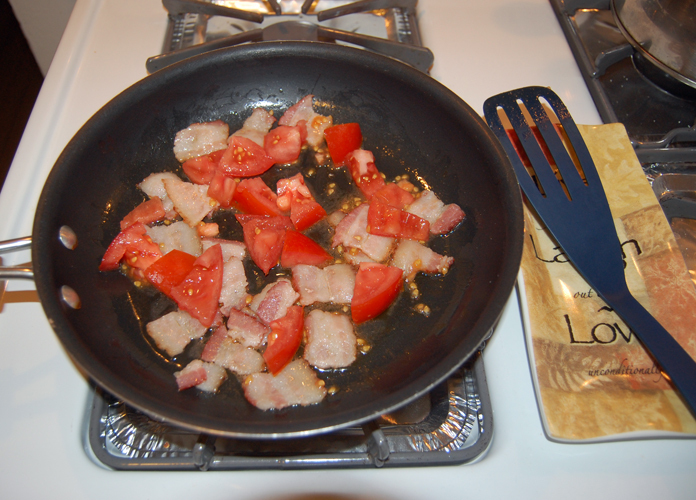 If you are using a nonstick frying pan, and the bacon has generated enough grease, then add the cubed tomato. Otherwise, add a bit of oil or butter first to avoid burning your eggs. 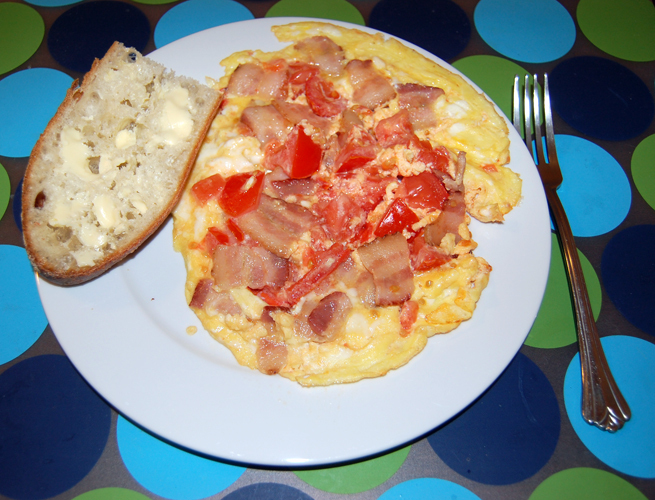 Slightly fry up the tomato (about a minute) and then add the scrambled eggs. Fry everything until the eggs are as solid as you like (I prefer mine a tiny bit runny). Serve with a side of buttered toast (a slice of french baguette works really well). That looks tasty! And so neat, too! What type of bread did you eat alongside the bacon-y, tomatoe-y eggs?